The Rose of Sharon engagement ring…a beautiful flower represented in a neo-traditional split shank with a split bezel. 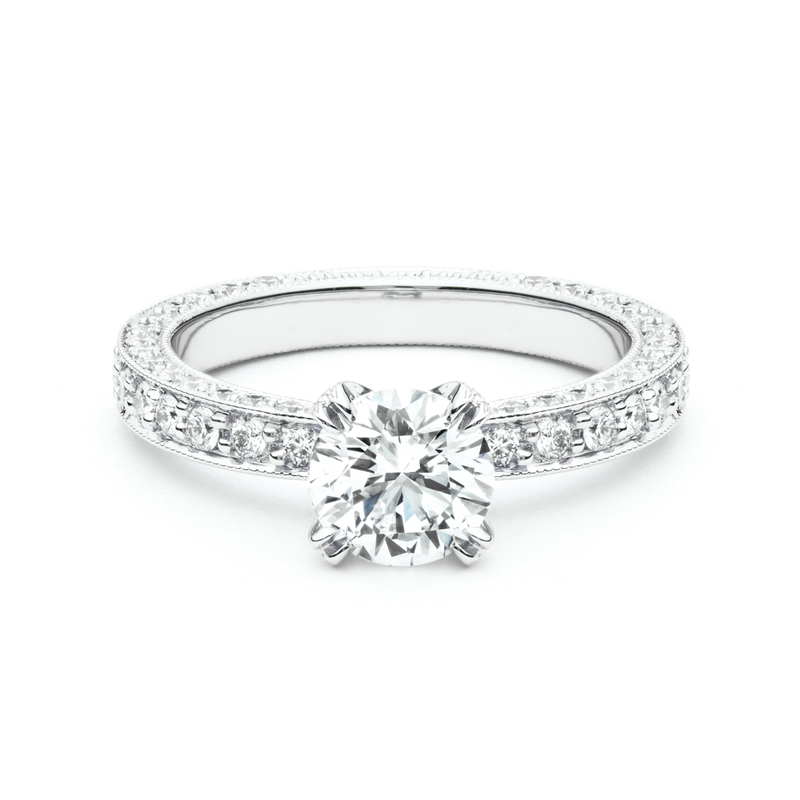 The Marissa diamond engagement ring features a round brilliant cut center diamond with a cushion shaped diamond halo. The shank is a crossover style with fishtail set round brilliant diamonds. 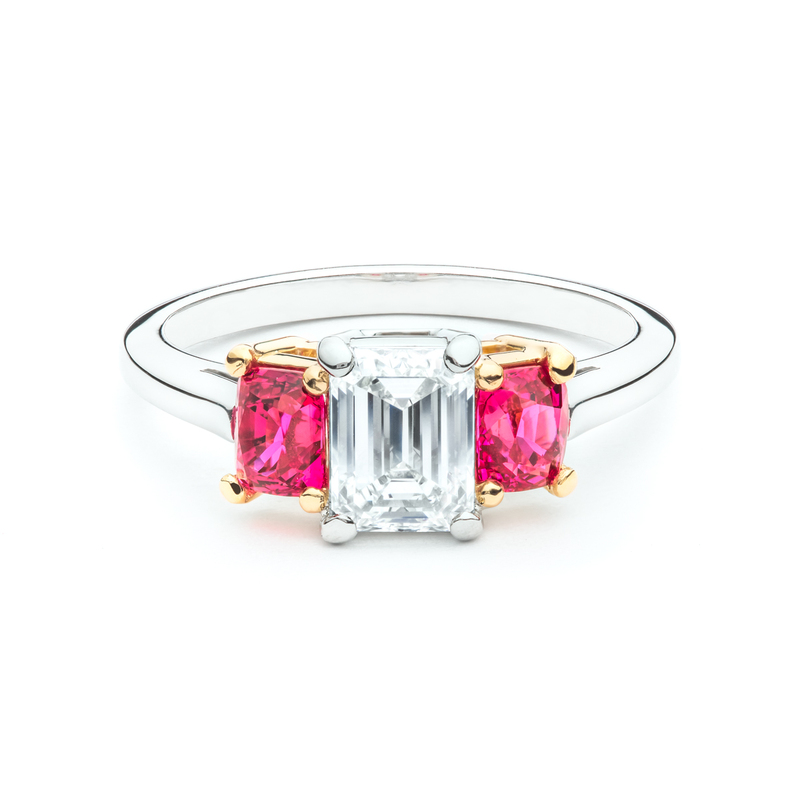 Rich natural pink spinel accent stones are set in 18kt yellow gold flank the center emerald cut diamond set in platinum. Custom made in house here in our Cary, NC studio. 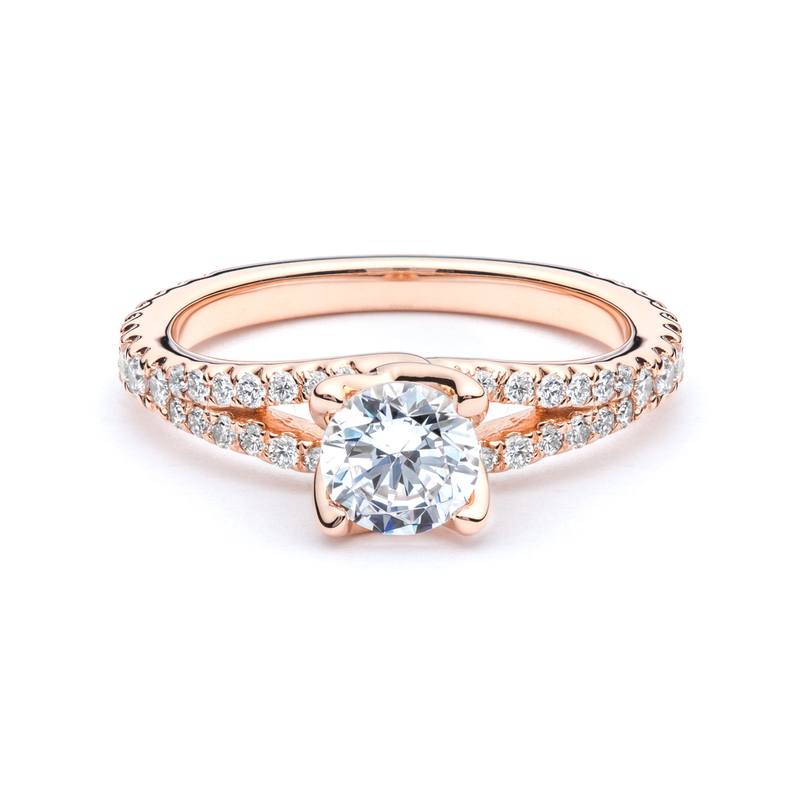 14kt Rose gold diamond engagement ring. 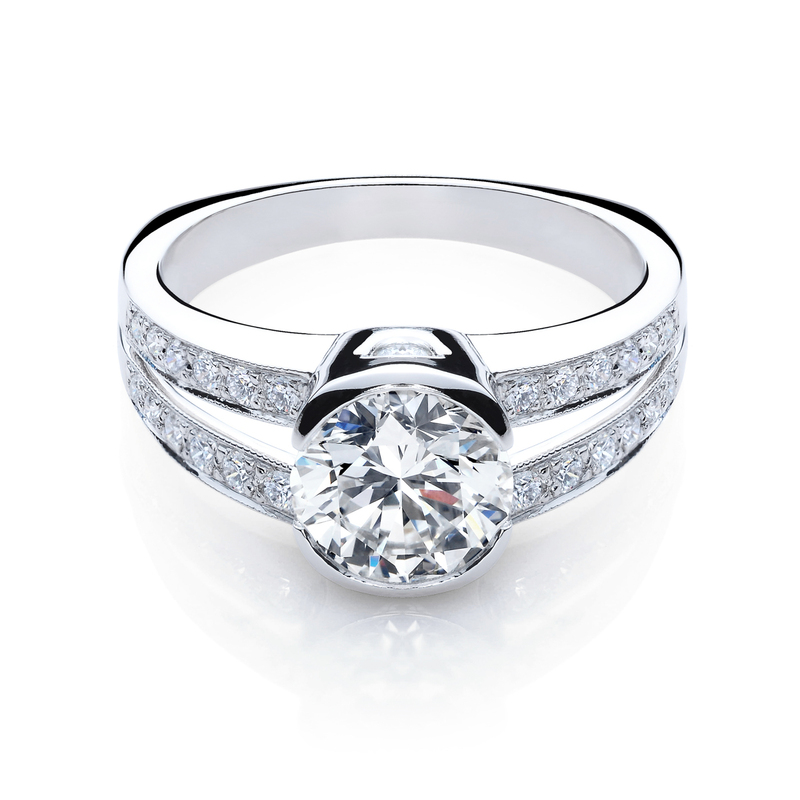 This design features a diamond split shank with a four prong round brilliant center stone. 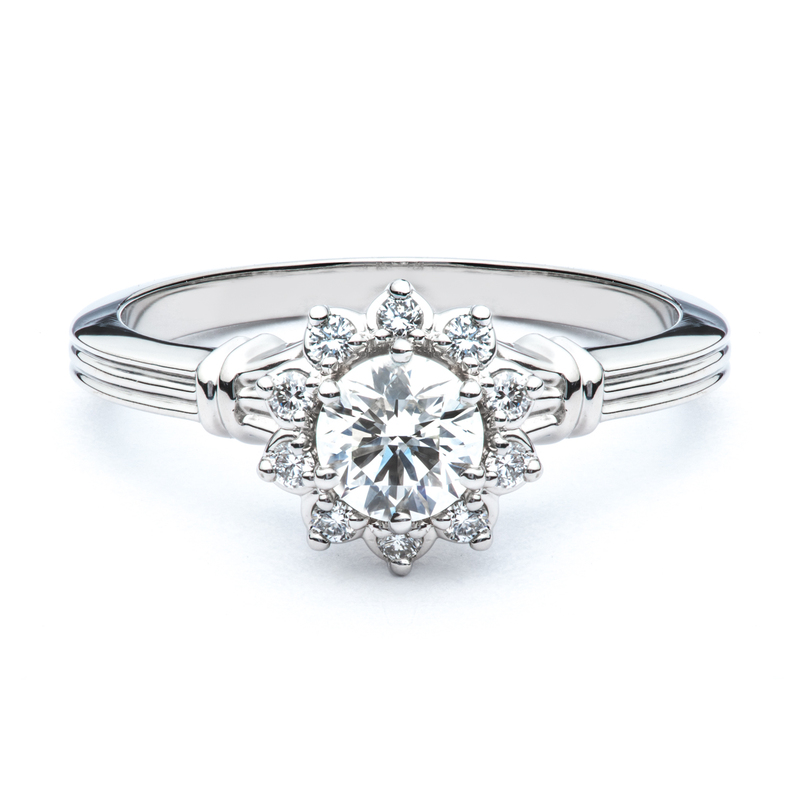 Platinum floral diamond halo surrounds a four prong set round brilliant diamond. The center stone is a 0.53ct I/SI1, and the accent diamonds are 0.13ct total weight G/VS1. The Cassandra Diamond Ring This hand made platinum ring features a 0.64 ct. emerald cut diamond in a east west orientation in a split bezel. The Alexandra Engagement Ring. 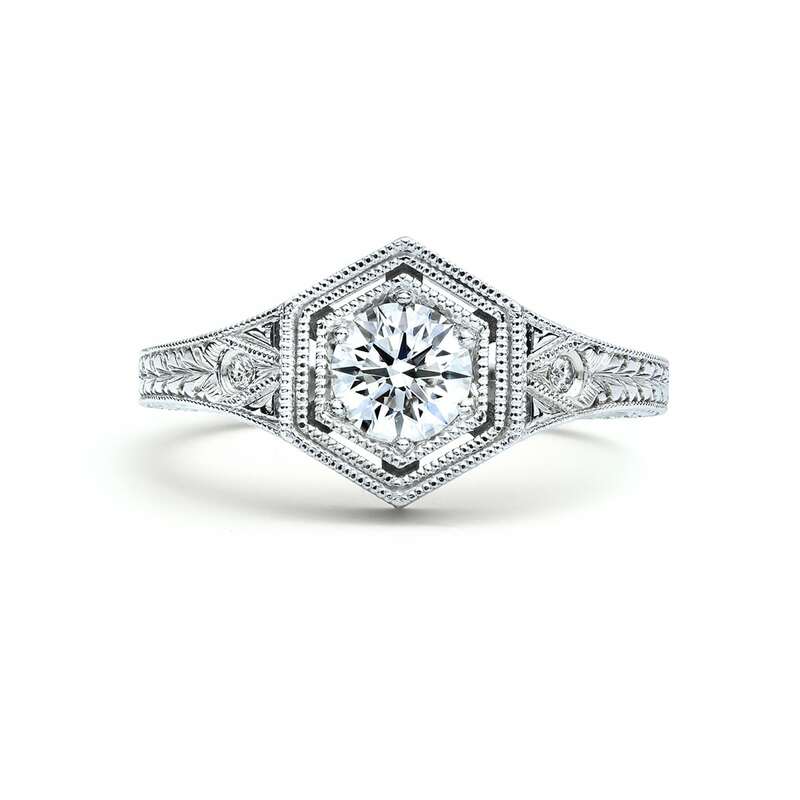 A sleek and modern engagement ring featuring an east west set marquise diamond. The Sydney pear shaped diamond engagement ring, perfectly proportioned pear shaped diamond accented by a diamond halo and a diamond shank. 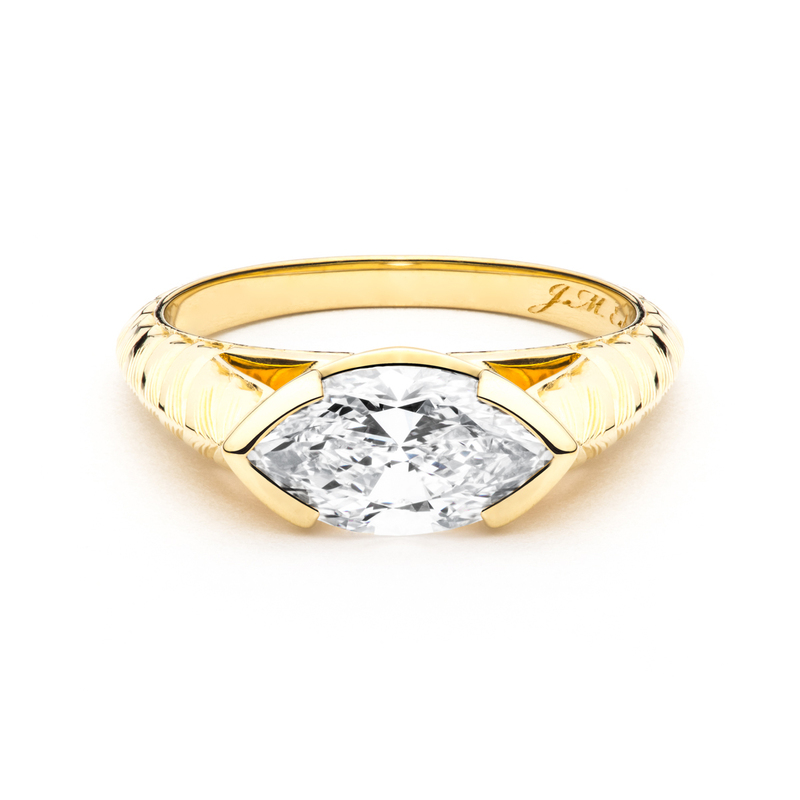 The Lirys engagement ring features an east west set marquise diamond set in 18kt yellow gold with hand engraving. Handmade at JM Edwards here in Cary NC. 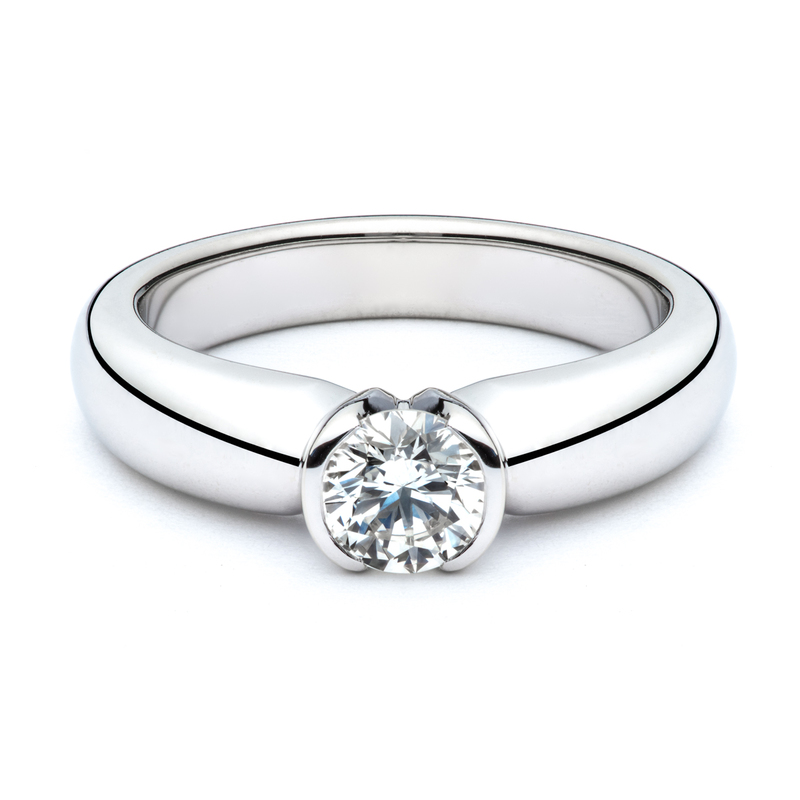 Offset diamond bands create an exciting orbital design from a traditional style mounting. Available to fit any shape center stone. Round brilliant center diamond set in four prongs is accented by channel set princess cut diamonds with hand engraving throughout. 18kt White gold matte finished diamond engagement ring. White gold shared prong engagement ring by Jabel for J.M. Edwards. The ring features a round brilliant center with a diamond eternity shank. 14 kt white gold cathedral solitaire with a round brilliant diamond center. 14kt White gold classic diamond solitaire with a round brilliant diamond center. This sleek platinum engagement ring features a 0.61 carat round brilliant diamond with 0.12 carat total weight in accent stones. The center stone is I color and VS2 in clarity. 18 kt yellow gold diamond engagement ring hand made here in our Cary NC Studio. 18kt white gold diamond engagement ring die struck by Jabel for J.M. Edwards. Vintage reproduction using original dies from the 1920’s. The Rebecca heart shaped diamond ring in platinum with round brilliant diamonds accents. Hand fabricated in house here at our Cary, NC studio. 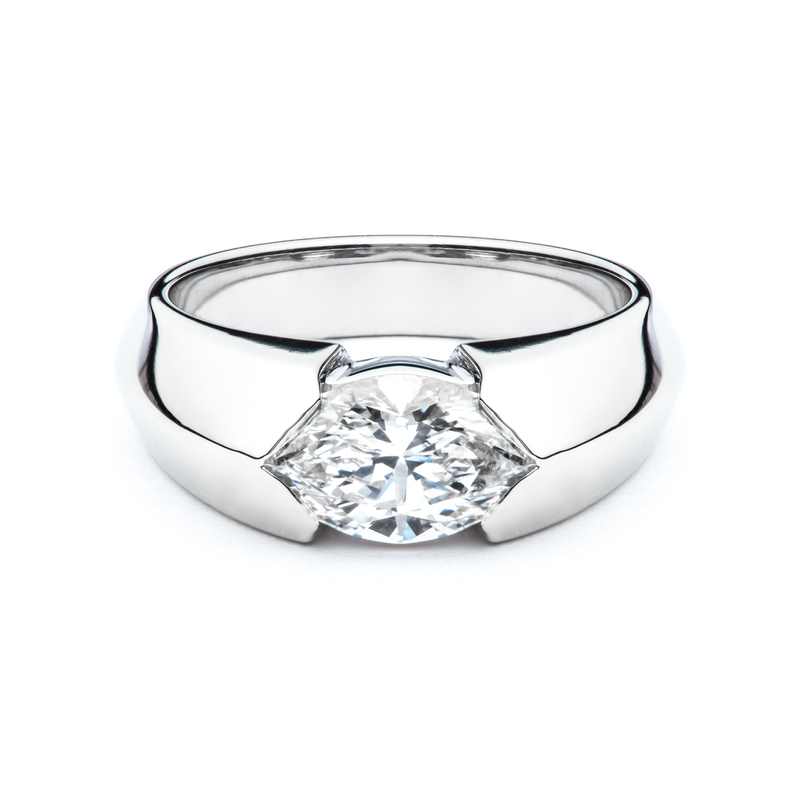 The Ella-Ann heart shaped diamond ring. 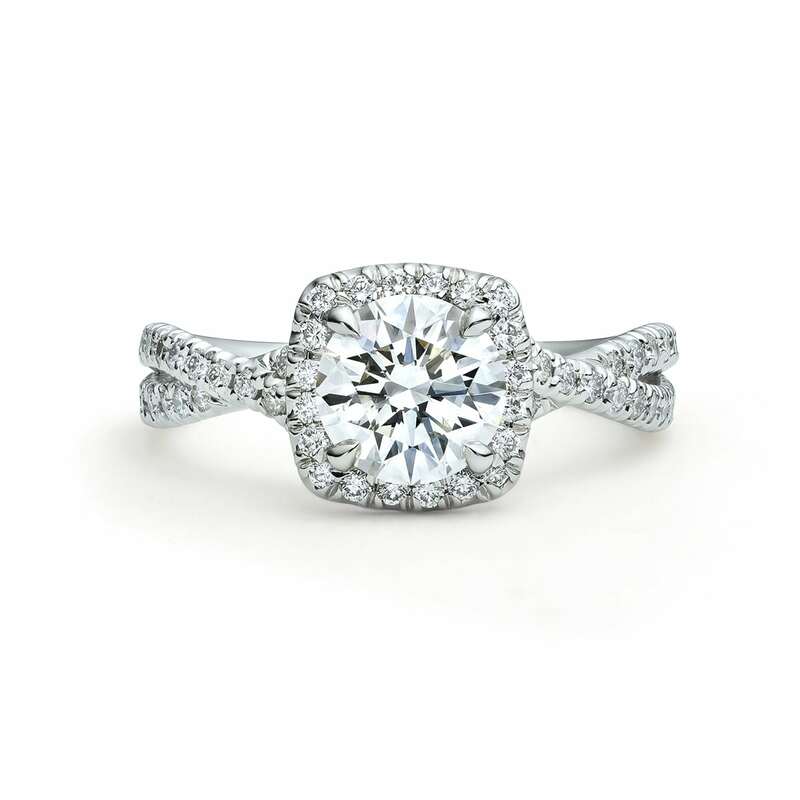 A romantic classic design features a french cut away diamond halo and shank. Custom made in house here at our Cary, NC location. A stunning 0.73ct center diamond sits among 0.30 carat total weight of channel set accent diamonds in a platinum setting. The center stone is E color and SI2 in clarity. 14 kt white gold traditional six prong diamond solitaire engagement ring. Cushion cut engagement ring with diamond halo. 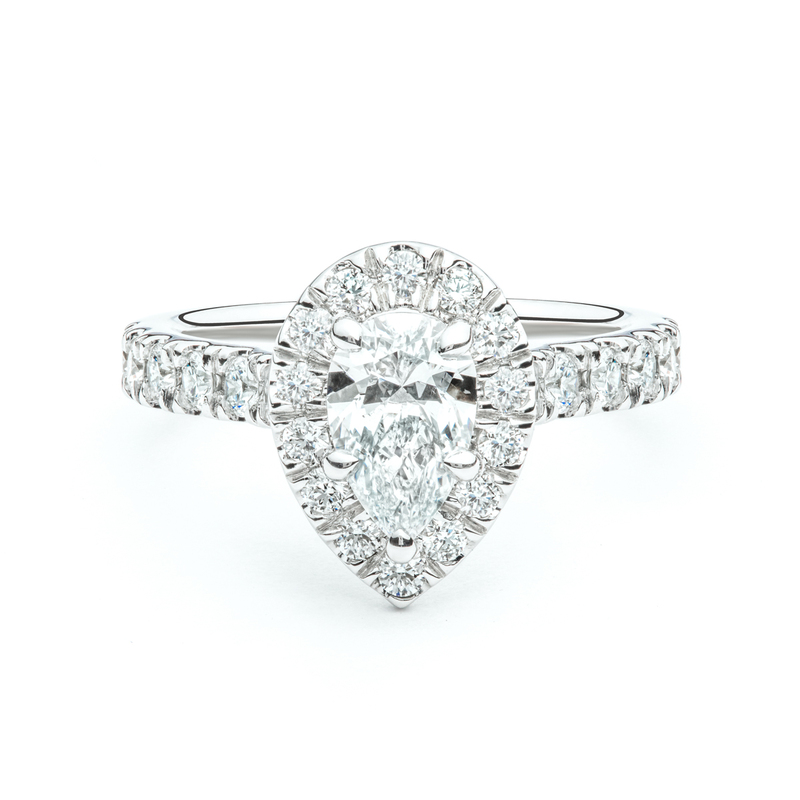 The design features a surface shared prong diamond halo and scalloped shared prong diamond shank. 14 kt white gold diamond engagement ring that features a millgrain diamond halo with a millgrain flared split shank. 14 kt white gold diamond engagement ring that features a hand engraved diamond accented shank. 14 kt white gold diamond engagement ring featuring a diamond cushion halo and a high polished shank. 14kt White gold diamond and pink sapphire engagement ring. 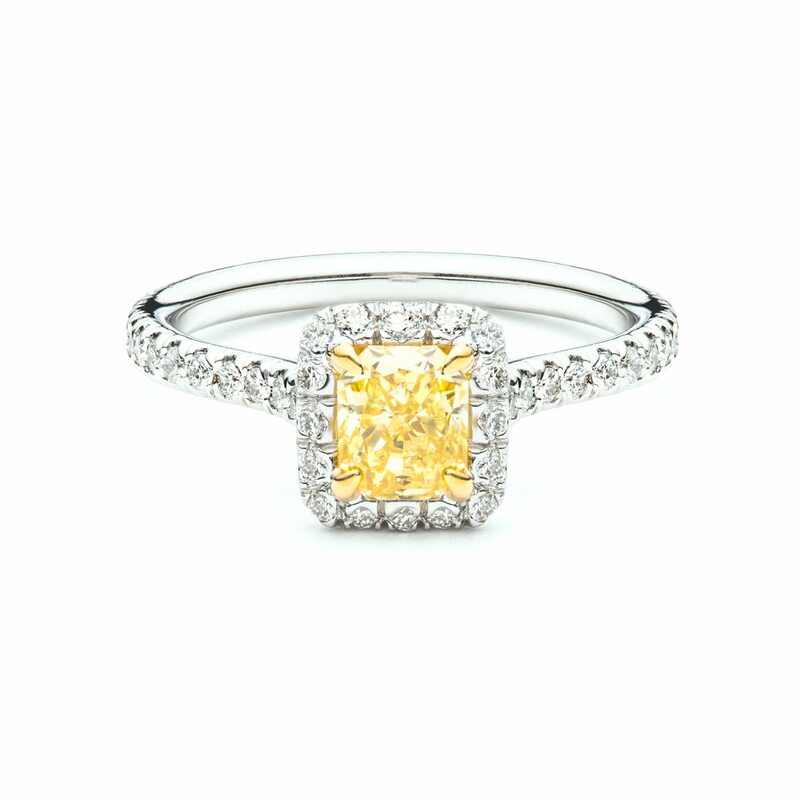 Available in platinum, white or yellow gold from 0.50ct up to 5.00ct center diamond. Custom made by J.M. Edwards Jewelry. 18kt yellow gold die struck antique filigree reproduction ring. 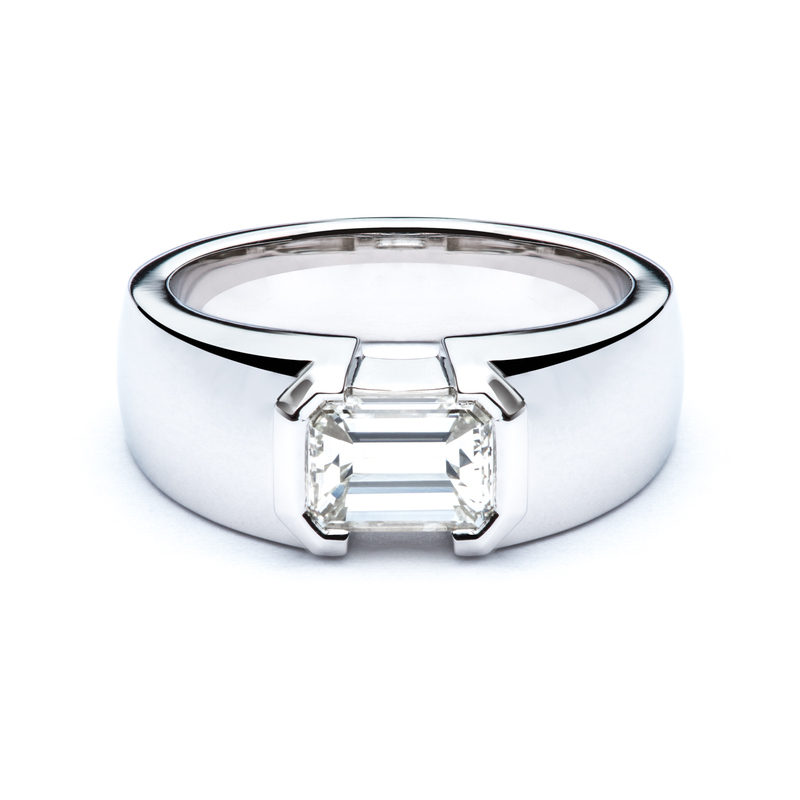 This ring features a platinum top in which a 0.52ct round brilliant diamond is set. Delicate hand engraving featuring a natural fancy intense yellow center diamond that is accented by ideal cut colorless diamonds. Custom made by J.M. Edwards in our Cary, NC studio. Platinum oval diamond engagement ring. The center diamond is 1.29ct, F in color and VS2 in clarity. Delicate hand engraving and natural pink diamond accents surround an asscher cut diamond center. Each piece is hand made to accommodate the center stone. Custom made by J.M. Edwards Jewelry. 18kt white gold split bezel three stone diamond ring. The center round brilliant diamond is a 0.90ct G/SI2, and the side diamonds are 0.61ct total weight H/SI2. Rose and yellow gold floral designed shank with a 0.75ct round brilliant diamond set in a platinum four prong head. 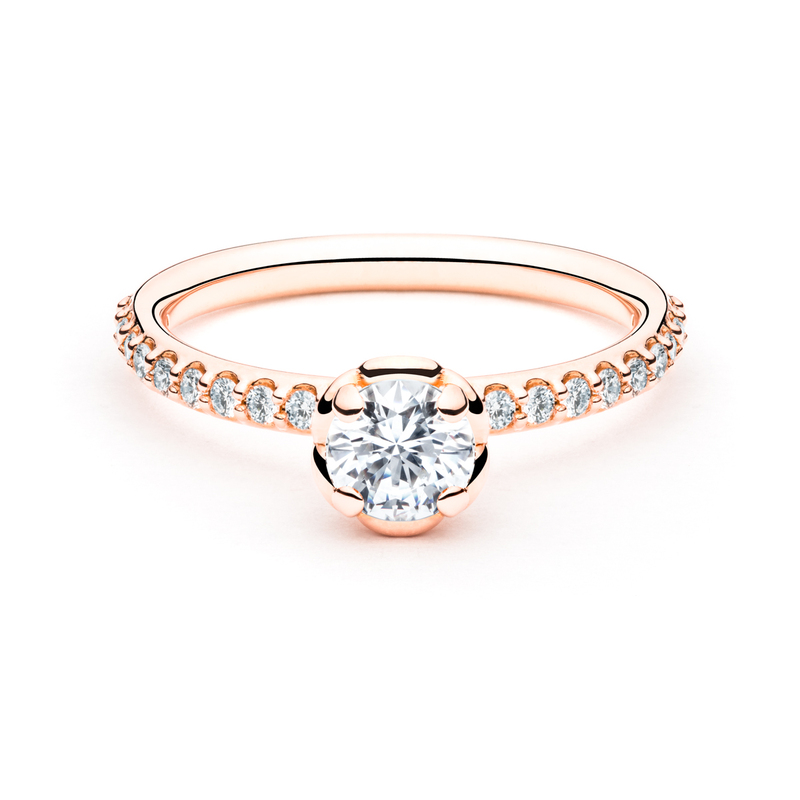 Platinum and rose gold diamond bypass engagement ring. Handmade in house here at J.M. Edwards Jewelry. Available for almost any diamond.